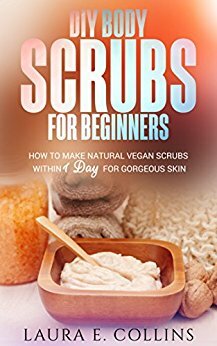 If you are looking for a one-stop, vegan recipe ebook, well, here you go. They are economical, easy to make and not animal tested. There are a lot of them. DIY Body Scrubs For Beginners is what it purports to be. The recipes do not contain any type of soap. Hence, I do not understand the point. However, you could surely add your own and step out of the shower smelling, like, well, whatever essence that pleases you.